Accompanied for the first time by his wife of more than 50 years, Bill Cosby walked into a courthouse Tuesday morning ahead of closing arguments in his sexual assault retrial. 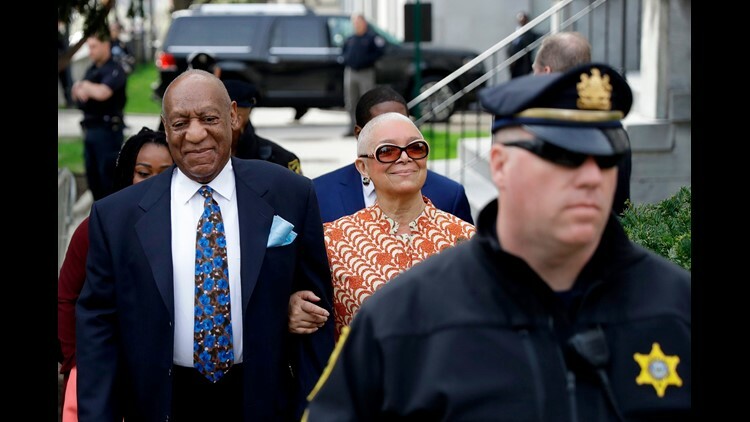 NORRISTOWN, Pa. (AP) — Bill Cosby's lawyers urged a jury Tuesday to acquit the 80-year-old comedian of sexual assault charges they said were based on "flimsy, silly, ridiculous evidence," arguing he was falsely accused by a "pathological liar" scheming for a big payday. "You're dealing with a pathological liar, members of the jury," Mesereau said. "You are." This story has been corrected to show that jury deliberations in the first trial took place over six days, not five.